The Vogalonga was created over 40 years ago now, by a group of passionate Venetians from Burano who wanted to speak out against the ballooning trend of speedboats at that time. The idea being that it was a ‘uncompetative’ race that was open to everyone and every type of boat. At the end everyone recieved and still to this day recieves a medal simply for participating. In essence very simply reminding everyone of the joy of traveling by oar. Initially it was held in November but thank fully nowadays, both for the participants in the water and the onlookers on the shore, it is help at the end of May. In the last 40 years the number of particpants, from all over the world has steadiyl continued to increase. Now the boats are averaging nearly 2000 participants. 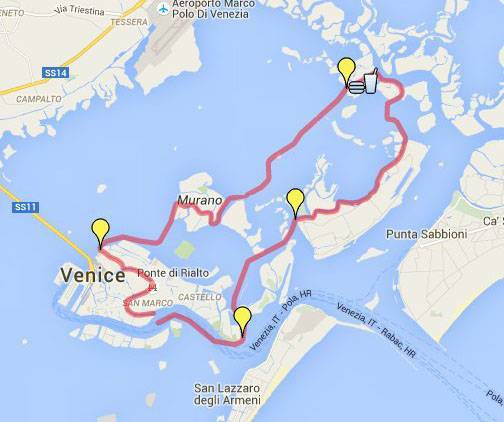 In total the course is 30 km and will be as follows: Bacino San Marco, canale delle Navi, canale della Bissa, canale Passaora, canale Crevan, Burano, Mazzorbo, canale S. Giacomo, canale Scomenzera, canale Bisatto, Murano, canale di Tessera, rio di Cannaregio, Canal Grande, Rialto, Punta della Salute. At the end of the course there is the traditional salute that ball members of each boat make in unison, called the “alta remi” or “high oars”. I have only ever been a bystander, however year by year I have got closer and closer to the water and signing myself up. Although it is not competitive it is not a small undertaking and I am immensely impressed by the friends I know who have done it. Ranging in age and fitness, everyone wants the next person to succeed just as much them. All along the grand canal people peer out of windows, stand on decks or watch from behind heads. It is a wonderful and contagious atmosphere. 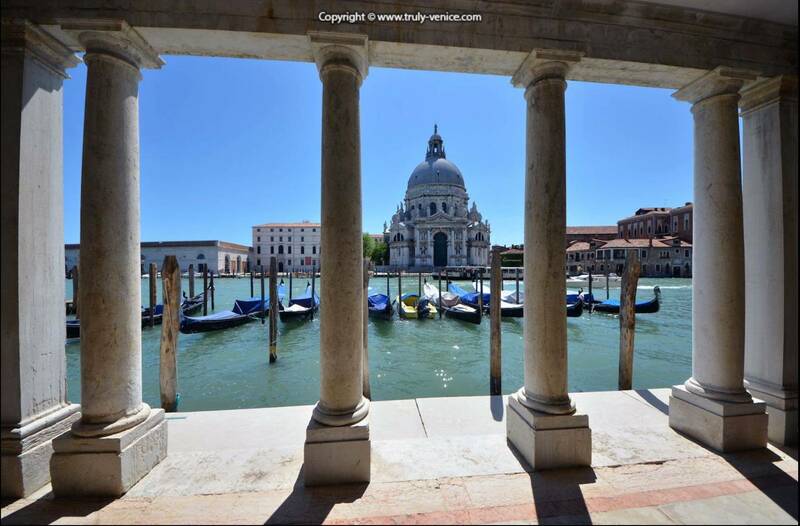 Starting in the Bacino di San Marco, it is also visible from 1. 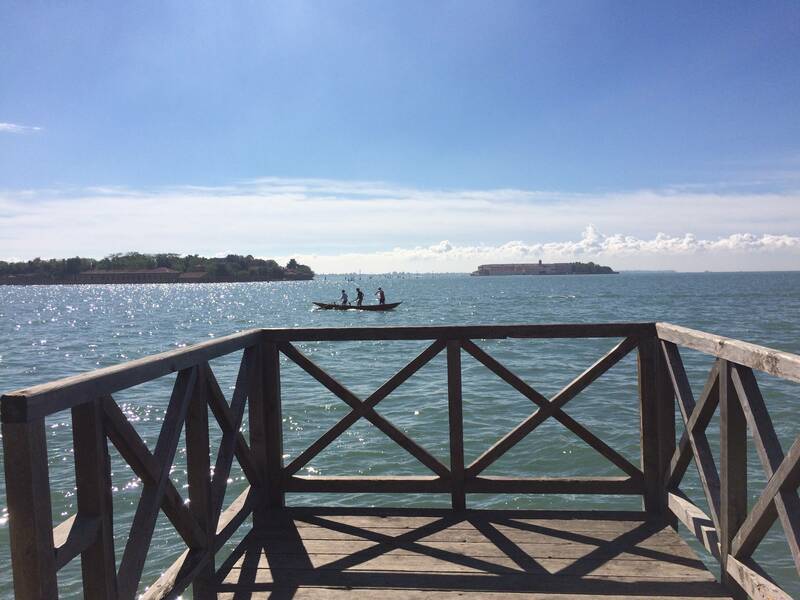 Guidecca island or 2. 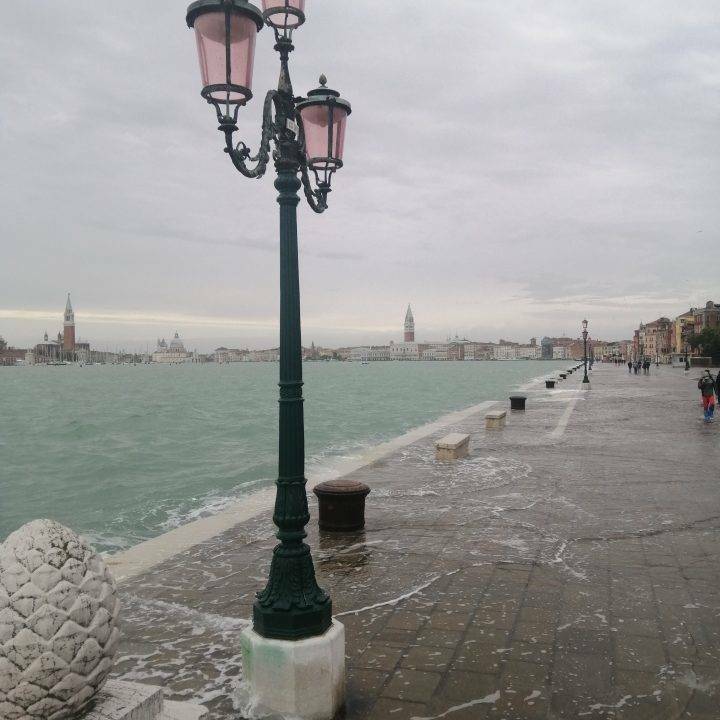 San Giorgio, but there are always a lot of people around Rialto, San Stae area. Apart from those who want to be there for the very end. So we would suggest getting their early, making a plan and a picnic. However, if you are fortunate enough to be renting one of our apartments with a grand canal view, you can enjoy it all from the comfort of your own home. RIVO ALTO, ALBA D’ORO, SERENISSIMA, DOGARESSA and DOGE (just to name a few). The race starts at 9.00am and most participants have crossed the final line by around 13.00. Afterwards there are few exhausted athletes determined to celebrate and so the parties often go well on into the evenings. You cant help feeling excited and the fact that it is an uncompetitive race creates a sense of comradery throughout the whole city. There those doing it for the 44th time and those doing it for the 1st. 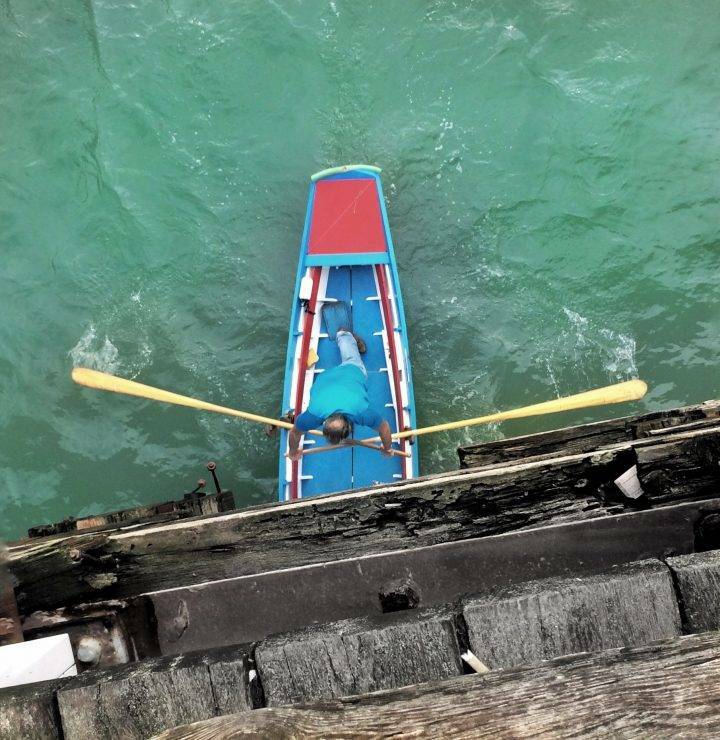 It reminds everyone of the essential part of life in Venice that is the rowing boat. Whilst it may not play such a large role in everyday life as it once did, it is intrinsic with the word Venice, or Venetian. Why La Voga alla Veneta is done standing up? 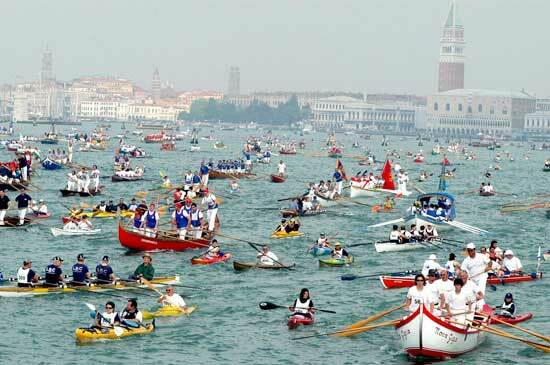 There are three main reasons for why the Venetian style of rowing is done standing up as apposed to the English style. Firstly, The lagoon varies in depth, but in general it is really surprisingly shallow especially when the tide is out. There are also several rocks or submerged bricole that would not be seen unless one is standing up. Secondly, often it is a sport done alone and of course it is much more pratical and easier to see where you are going when facing the right direction. Lastly, tradition boats would have also been used for hunting and fish and birds of the lagoon therefore It allowed hunters to transition quickly between oar and gun, or oar and net. P.S. There are still to this day several rowing clubs in Venice that I will talk about in greater length in another post, but all of them will take part in the vogalonga wearing the colours proudly.